This post was written by Liana Montecinos. Thirsty, hungry, at the brink of exhaustion, and with fear of violent deaths looming large back home is how many Central American children cross into the U.S. I know this because I have the privilege to work with child refugees in my capacity as paralegal at Benach Collopy and previously as a legal assistant at CAIR Coalition. But, I also know this because, like the children I work with now, I fled my native Honduras at 11 and I also crossed through Guatemala and Mexico via foot. 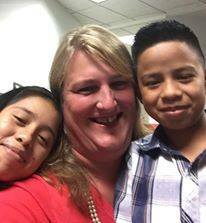 Recently, our Benach Collopy team won 5 asylum cases for five impressive and brave children from Honduras, El Salvador, and Guatemala. Our youngest client is eight years old and our oldest child is 18 years old. I had the privilege to be trusted by Ava Benach and Dree Collopy to work with the children. As I heard the children telling me about their lives back home and their journey to the U.S., I was devastated by the harsh reality of their lives. In their countries, our children were threatened with death, many physically attacked and raped, many witnessed their perpetrators hurting their family members and holding them at gun-point, and some even witnessed murders by their perpetrators at such tender years. All five of these children had to stop going to school, had to live in hiding for long periods of times, and they all came to the U.S. alone and via foot because they feared for their lives. Their journeys to the U.S. were all different, but they all shared one common element—danger. 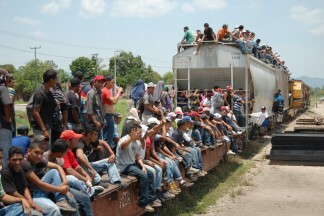 Many of them had to ride on top of a cargo train called La Bestia (the Beast) because they had no money to pay a coyote. La Bestia acquired its name because the immigrants who ride on top of it must go through a lot of hardship to survive the ride. Many do not make it alive off La Bestia. Many other children have been kidnapped by Mexican cartels and have been sexually harassed as was the case of a young girl we worked with. The five children we won asylum for suffered in immeasurable ways on their journey to the U.S., but they all made it clear that it was better than the death sentence they had back home. For me, the experience of working with the five children was powerful and painful. It was powerful because they reminded me that it is for them that I am pursuing a law degree. It was extremely painful because their stories about the humanitarian crises Central American children continue to face, which makes me realize that some of the issues that forced me to flee Honduras 17 years ago have only exacerbated with time. This alarming reality, however, is not new to me. In 2011 when I worked at the CAIR Coalition in the Children’s Program, we visited and facilitated Know Your Rights presentations to detained unaccompanied children. The stories I heard from children five years ago are very similar to the stories I continue to hear. Seeing the children in jail, however, added an immediate repulsion for how the U.S. government handles the children fleeing persecution. I cried each time on my way back home from visiting the children in jail. I do not cry so much anymore, but rather I channel the compassion I feel for the children through my work at Benach Collopy. 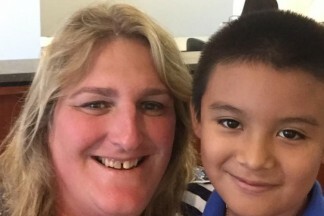 We, at Benach Collopy, are beyond happy that these five children can now be safe and with lawful immigration status in the U.S. and that they can go to school and simply be children.